In the recent IPL auction, the RCB owner Vijay Mallaya made everyone talk with his hot purchase of Yuvraj Singh at 14 crore..
Every traveller in Beach Tambaram EMU would be intrigued by those green topped books on sale near Guindy Railway station – it is those statistics, the sire-dam details that guide the punter at Madras Race Club which traces its origin to 1837 and more decades beyond. To some Horse racing is an equestrian sport; to many it is gambling. Do you know that all Indian race horses have a common birthday – January 1 – not all of them were born that day ~ but it is the date denoting their age to simplify some processes. A common date to calculate the age of a horse simplifies the process of designing races for various age groups. For example, the Indian Derby is open only for horses that are four years old. Having a common birth date helps in determining the eligibility and other terms of the race. Horses born between January and April attain their first birthday (they become yearlings) the next January. Adulthood is when they reach the age of two the next year. That's when they are considered fit for training and racing. Besides racing, there is preparatory – the stud farm – which in animal husbandry, is an establishment for selective breeding of livestock. Historically, documentation of the breedings that occur on a stud farm leads to the development of a stud book. Now some peep in Horse racing – a Stallion is a male horse that has not been gelded (castrated). Temperament varies widely based on genetics, and training, but because of their instincts as herd animals, they may be prone to aggressive behavior, particularly toward other stallions, and thus require careful management by knowledgeable handlers. Contrary to popular myths, many stallions do not live with a harem of mares. Nor, in natural settings, do they fight each other to the death in competition for mares. In fact the leadership role in a wild herd is held by a mare, known colloquially as the "lead mare". At Stud farms, selective breeding of animals, particularly purebred horses is done. Here is something on a special Stallion and a photo of carriage of race-horse, which perhaps would be the subject-matter in a future post. Vijay Mallya is getting ‘Air Support’ for several crores of rupees. But this has nothing to do with the revival of his grounded Kingfisher Airlines. The UB Group chairman is paying top dollar for an imported stallion to strengthen his hold in India’s multi-million dollar horse racing circuit. Mallya, started owning racehorses at the age of 21, and is among India’s top three horse owners and breeders along with the Poonawalla family and M A M Ramaswamy, founder of the Chettinad Group of companies. 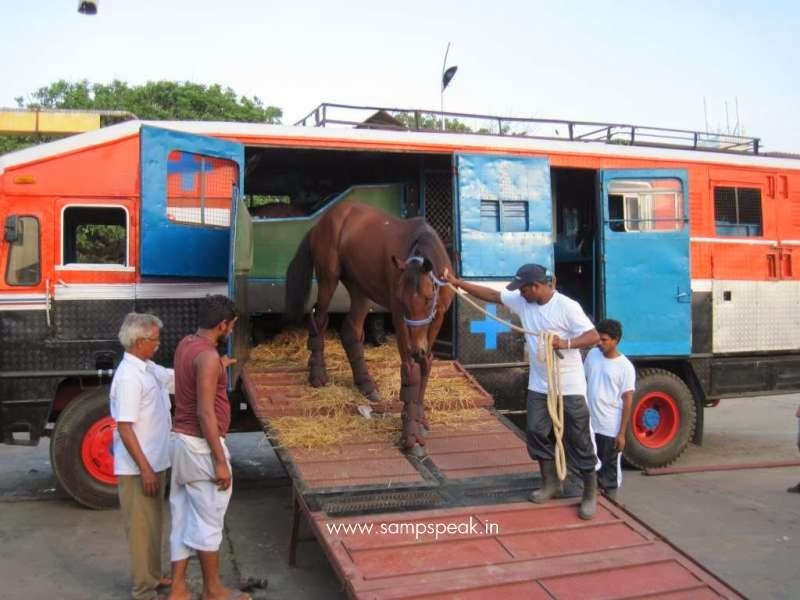 The six-year-old Air Support, after being in quarantine in Chennai for 60 days, will add to a list of imported stallions bought to breed racehorses at the historic 450-acre Kunigal stud farm, which Mallya took over in 1992. Located on the outskirts of Bangalore – the headquarters of the UB Group – the stud farm is said to have started breeding horses 250 years ago, during Tipu Sultan’s reign. Sources told TOI that Mallya paid over Rs 4 crore for Air Support, but Zeyn Mirza, MD of United Racing and Bloodstock Breeders – the company that looks after Mallya’s interests in racing and breeding – said it was significantly less. If the price is indeed over Rs 4 crore, it could be among the highest paid by Bangalore’s top breeders. Air Support is the winner of five races, including the Virginia Derby. Mirza said that the Kunigal Stud Farm was in need of a new stallion for breeding racehorses. The stud farm has around 100 mares and Air Support will start to cover 60 of them this year. 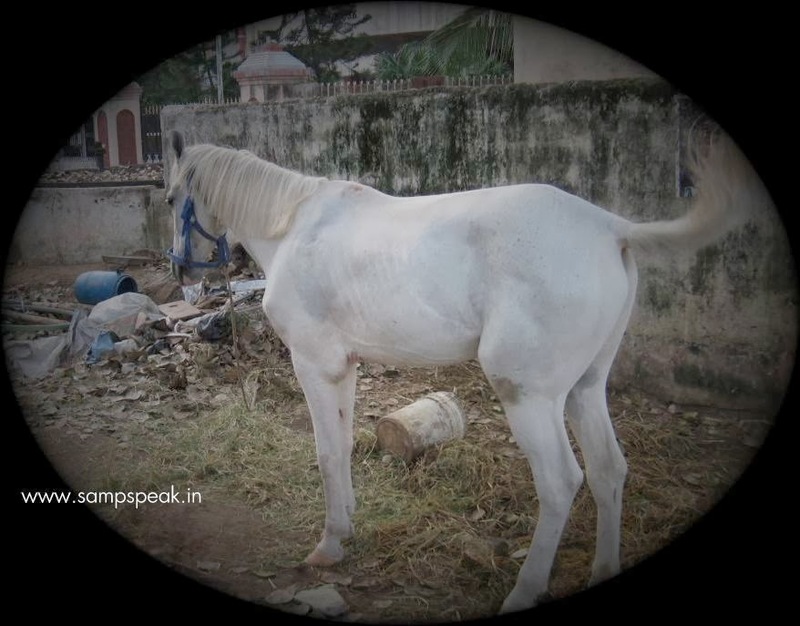 There are an estimated 20 stallions in India, all used for breeding racehorses. Stallions are among the best racehorses that have now stopped racing and are used for breeding. While most of Mallya’s sporting ventures are majority-owned by the UB Group, Mallya in his personal capacity holds around 98% stake in United Racing and Bloodstock Breeders. As per data on the ministry of corporate affairs website, United Racing and Bloodstock Breeders reported revenues of Rs 19.16 crore in the fiscal ended March 31, 2013. In the same period though, the company reported a loss of Rs 14 lakh as against a loss of Rs 35 lakh in the previous fiscal. However, Mirza said the company was currently a profitable entity.